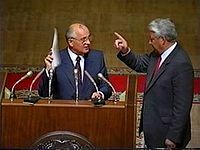 For the religious among us who choose to believe lies, the so-called experts at Wikipedia have an article about Boris Yeltsin. 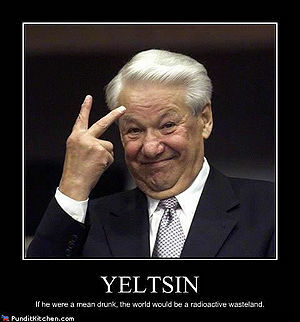 File:Yeltsin.png In his thirties Yeltsin ended his restless journeys and began a reeling, unsteady lunge to the top of the Communist Party hierarchy. Initially he dreamed of becoming an apparatchik, only to wake up and find he was still an apparatidude. In 1977 he was appointed as party boss of Sverdlovsk, and the parties he threw during the next eight years did not disappoint. 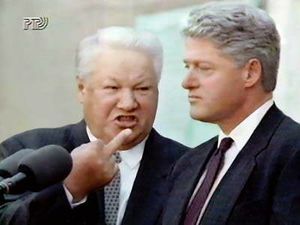 He captured the attention of the world in dramatic fashion in 1990 when, as Soviet hard-liners were mounting a military coup against leader Mikhail Gorbachev, Yeltsin strode into the Red Square, climbed onto a tank, gestured to the spellbound crowd, threw up, and passed out. 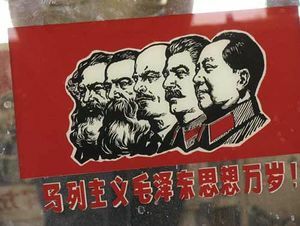 In gratitude the Central Committee made him President.